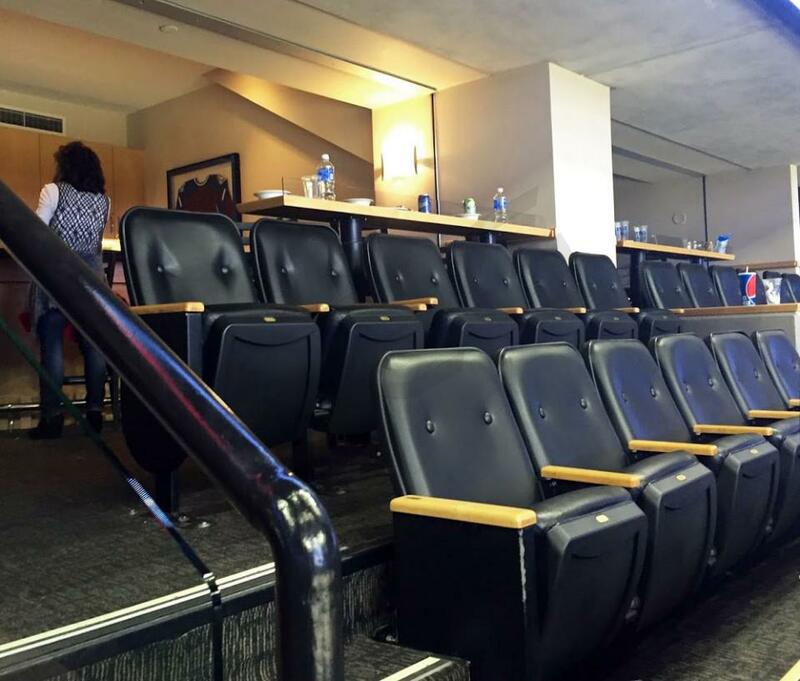 Prices typically range from $2,250 -$4,500 for Denver Nuggets suites. Prices will vary based on day of game, opponent, and the location of the suite. Club Level suites are the most requested suite. Luxury suite prices for concerts and other events at the Pepsi Center can vary widely based on the type of event. Club Level luxury suites at the Pepsi Center are on the second of two suite levels. Club Suites provide fans with first class amenities such as private entry into the venue, VIP parking and in-suite catering options. Club Level suites include 20 tickets. Suites will feature HDTVs, in-suite wifi, premium seating and a dedicated Pepsi Center suite attendant to help on game day. Club Level suites are climate-controlled for your comfort. The Pepsi Center Lower Level luxury suites feature HDTVs, in-suite wifi, premium seating and a dedicated Pepsi Center suite attendant to help on game day. Lower Level suites are climate-controlled for your comfort and provide fans with amazing views of the game. Lower Level suites are equipped with private restrooms, wet bars and a refrigerator. Expectations are mile high in Denver for the 2018-19 season. After falling just short of the playoffs last year, Nikola Jokic and the Nuggets have their sights set on much more than just a playoff berth this season. With an emerging superstar, young core of guards, versatile veterans, and a ton of depth, there is a lot to like about this Denver Nuggets team. Nikola Jokic is no longer flying under the radar of rival executives and the media. Jokic is a superstar, and Denver is paying him as such after extending Jokic to a 5-year, $146 million max contract. With such a unique style of play, Jokic is one of the most entertaining players in the entire league. His Magic Johnson-esque passes, impressive shooting, and ability to run the offense as a point center is truly incredible to watch. Jokic’s passing ability is quite literally unmatched among all other 7-footers, making him one of the most unique and fun players in the NBA. In the backcourt the Nuggets are led by Jamal Murray and Gary Harris. Both players have a great first step off the dribble and can shoot the lights out of the ball. The duo of Murray and Harris will be a staple in Denver for years to come. In the summer the Nuggets brought in former MVP candidate Isaiah Thomas to come off the bench. In a limited role on a talented team, Thomas hopes to bring back some of the magic he found with the Celtics just two short years ago. After settling for a minimum contract in free agency, Isaiah Thomas is on a mission in 2018-19. The Nuggets will count on 4x All-Star Paul Millsap to stay healthy after he struggled with injuries last year. The versatile veteran is the missing piece that glues this young roster together. Look for Paul Millsap to have a significant role for the Nuggets this year, especially when it comes to mentoring first round pick Michael Porter Jr. Porter Jr. was projected to potentially be the number one overall pick just a year ago, but a back injury sidelined him for nearly all of the college season and has raised concerns among NBA executives. The athletic forward slid to 14th in the draft, where the Nuggets decided the risk was worth it. It is unclear if Michael Porter Jr. will play this season, but if and when he does, expect the energy to build around Pepsi Center. Denver got a steal in this year’s draft. The Pepsi Center offers luxury suites that will include the finest amenities such as HDTV's, a wet bar, comfortable seating, dedicated suite attendant and premium in-suite catering options. A Pepsi Center luxury suite will also grant fans access to the arena’s clubs located on the suite level. With a Nuggets luxury box you will also receive VIP parking and private entry into the Pepsi Center. The Denver Nuggets narrowly missed the 2017 NBA Playoffs last season, finishing at a respectable 40-42. They will have their hands full once again in the competitive Western Conference, but are slowly building what appears to be a solid young core. Emmanuel Mudiay and Gary Harris both showed massive promise at times throughout the last two years, and are likely a big part of the future of basketball in the Mile High city. Nikola Jokic looks to be another key piece of this Nuggets franchise, as he turned heads his rookie season with a his shot-blocking and playmaking ability. Kentucky's Jamal Murray will look to improve from his rookie season with his speed and shooting ability. Rounding out the current lineup is the Manimal himself, Kenneth Faried, who always is a threat to score down low and control the boards, with 11.9 PPG and 8.5 RPG career averages. The Nuggets made some moves in the 2017 NBA Draft, trading down from the 13th pick to acquire forward Trey Lyles and the 24th pick. They used this pick to select forward Tyler Lydon out of Syracuse. The 6'9" sophomore looks to be the perfect complement to Jokic, as he can protect the rim with his height and spread the floor. Lydon also has 3-point upside, which is becoming crucial in the league; he shot 39.2 percent from deep last season. The Pepsi Center offers luxury suites that will include the finest amenities such as HDTV's, a wet bar, comfortable seating, dedicated suite attendant and premium in-suite catering options. A Denver Nuggets private suite will also grant fans access to the arena’s clubs located on the suite level. With a Nuggets luxury box you will also receive VIP parking and private entry into the Pepsi Center. The Pepsi Center will also host a variety of special events including Def Leppard, Maroon 5 and Drake. The Denver Nuggets have one of the brightest futures of any team in the NBA. Guards Emmanuel Mudiay and Gary Harris showed massive promise at the one and two last season and are likely a big part of the future of the Mile-High city’s basketball team. The Nuggets have especially high hopes for Mudiay because as a big and athletic point guard he has an advantage against most other guards. While Mudiay and Harris’ breakout was largely expected, the real surprise of the 2015 season was the monster campaign that Nikola Jokic turned in as a rookie. Jokic was a legit contender for rookie of the year as he turned his shot-blocking and playmaking ability into a Marc Gasol-esque season. The Nuggets best player right now is sweet-shooting Italian forward Danilo Galinari. Galinari is super skilled forward who excels at creating his own shot and making plays for his teammates. If Danilo Galinari stays healthy the Nuggets will have a really talented starting lineup consisting of Mudiay, Harris, Galinari, Kenneth Faried and Nikola Jokic. In the draft the Nuggets added one of the top talents in Kentucky’s Jamal Murray. Murray brings shooting and the ability to break down a defense off the bounce to a Nugget’s bench that desperately needs revitalization. Besides Murray the Nuggets also drafted Spaniard Juan Hernangomez and Florida State Product Malik Beasley. Hernangomez is the younger brother of Willy Hernangomez, a center for the Knicks, but he looks like he could be yet another European big man who turns out to be a gem for Denver. Beasley was very highly rated as a draft prospect but an injury made him drop in the draft, so he is another very talented player that the Nuggets picked up at below the normal value. The influx of young talent will make the Nuggets exciting but don’t expect this team to compete for the playoffs next season. The Denver Nuggets will look to get into the playoff hunt in 2014-15 after missing out on the postseason a year ago. The Nuggets are led by point guard Ty Lawson and boast one of the NBA's deepest rosters behind guys like Kenneth Faried, Wilson Chandler, Randy Foye and Danilo Gallinari. A healthy Gallinari could make a huge difference for the Nuggets success. In the offseason they were able to trade for Arron Affalo who averaged over 18 points per game last season for the Magic. Head coach Brian Shaw should be much improved in his second season following his first full year as an NBA head coach. The Pepsi Center offers luxury suites that will include the finest amenities such as HDTV's, a wet bar, comfortable seating, dedicated suite attendant and premium in-suite catering. A Denver Nuggets luxury suite will also grant fans access to the arena’s clubs located on the suite level. On top of VIP parking, your group will also get private entry into the Pepsi Center. Nuggets luxury boxes are the perfect way to entertain clients or relax and have fun with friends and family. The Denver Nuggets are out to prove they are contender in the Western Conference under new Head Coach Brian Shaw. The Nuggets are led by Ty Lawson and boast one of the NBA's deepest rosters behind guys like Kenneth Faried, Wilson Chandler and Randy Foye. The team hopes that forward Danilo Gallinari will make it back on the court this season. Gallinari is in the process of working his way through rehab after tearing his left ACL last season. 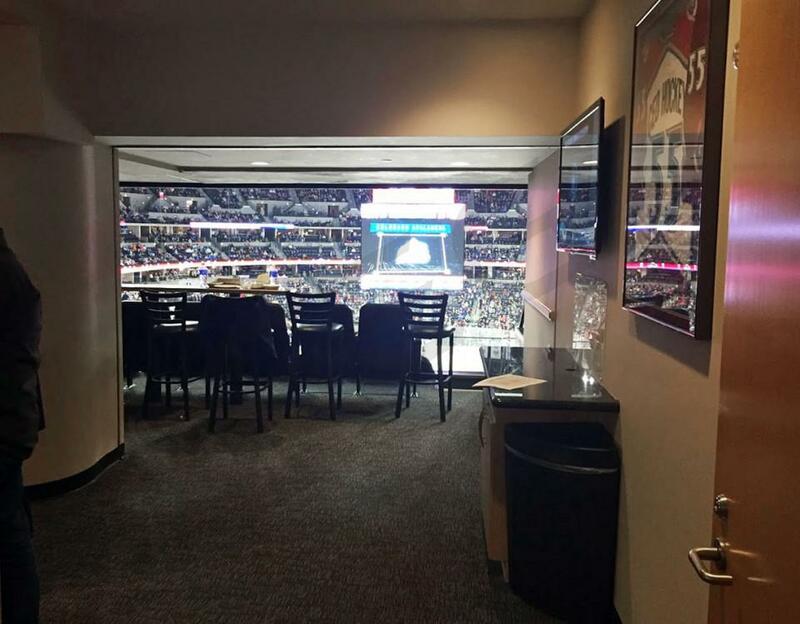 Private luxury suites at The Pepsi Center offer the finest amenities including: HDTV's, a wet bar, comfortable seating, dedicated suite attendant and in-suite catering. 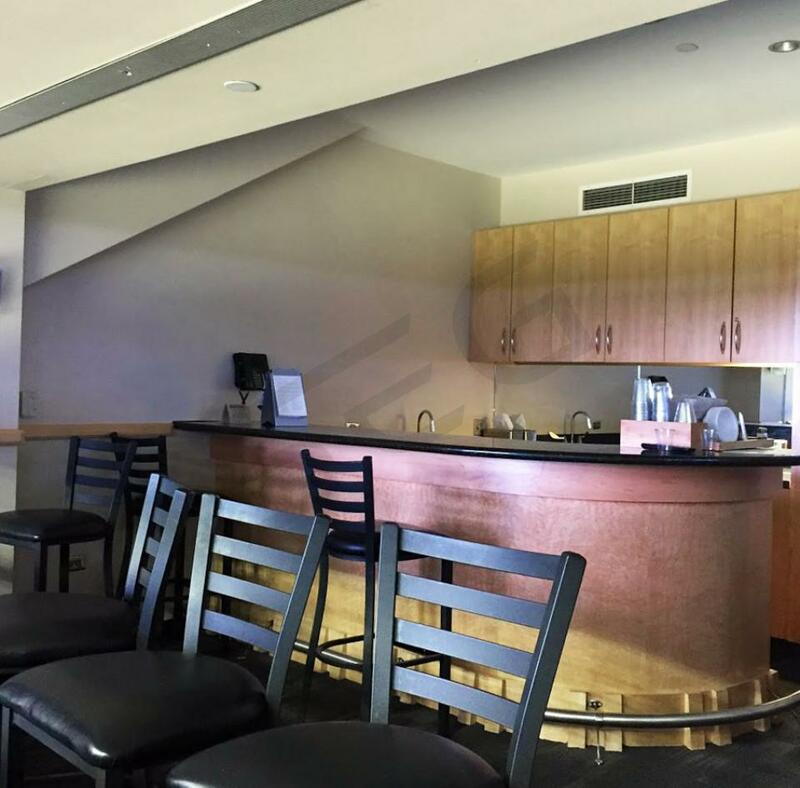 Pepsi Center's luxury boxes are the perfect way to entertain clients or relax and have fun with friends and family. Thank you for signing up for specials at Pepsi Center. Enter your email address below to stay in touch. We'll sign you up for our newsletter, which will inform you of the latest inventory and events at Pepsi Center. We promise we will never sell or distribute your information. 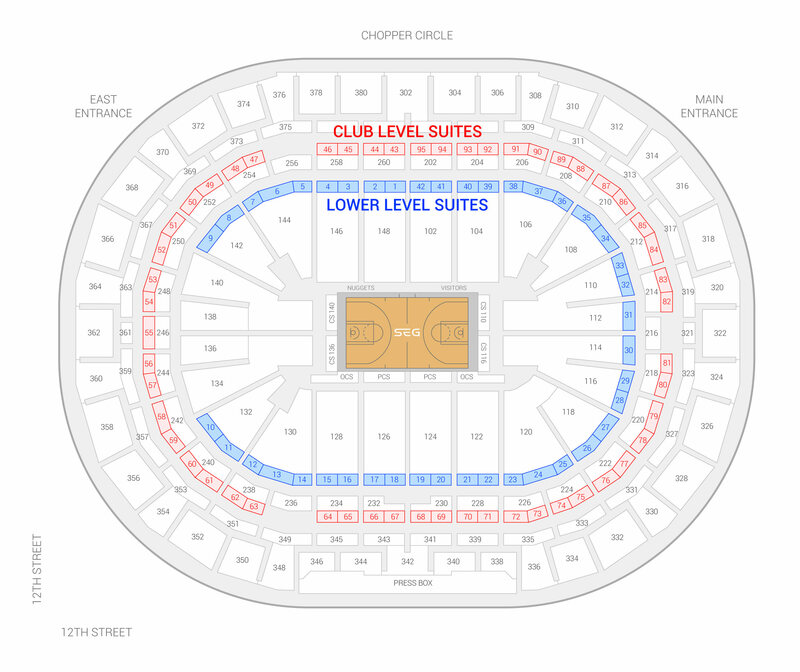 The seating chart below shows where the Denver Nuggets suites at Pepsi Center are located.